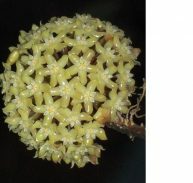 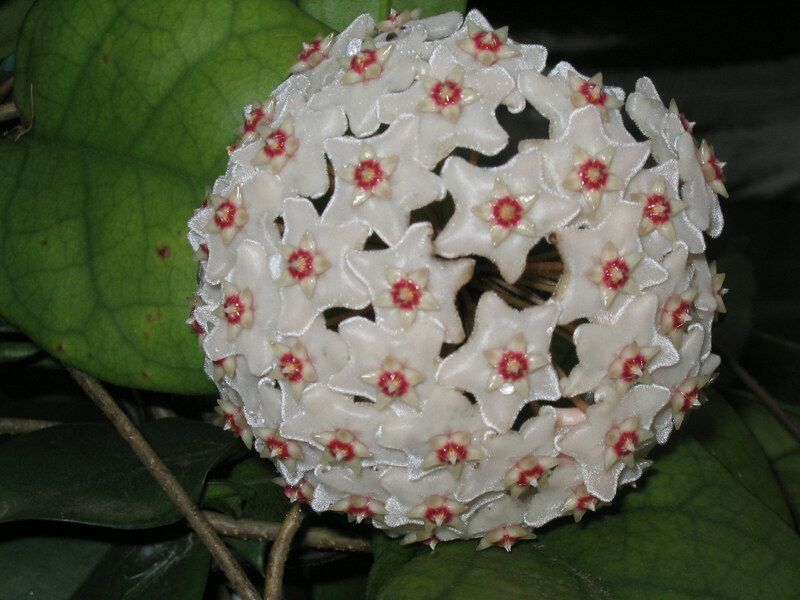 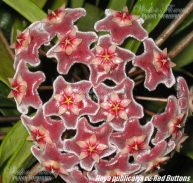 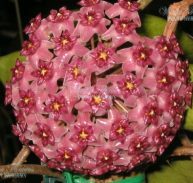 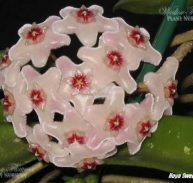 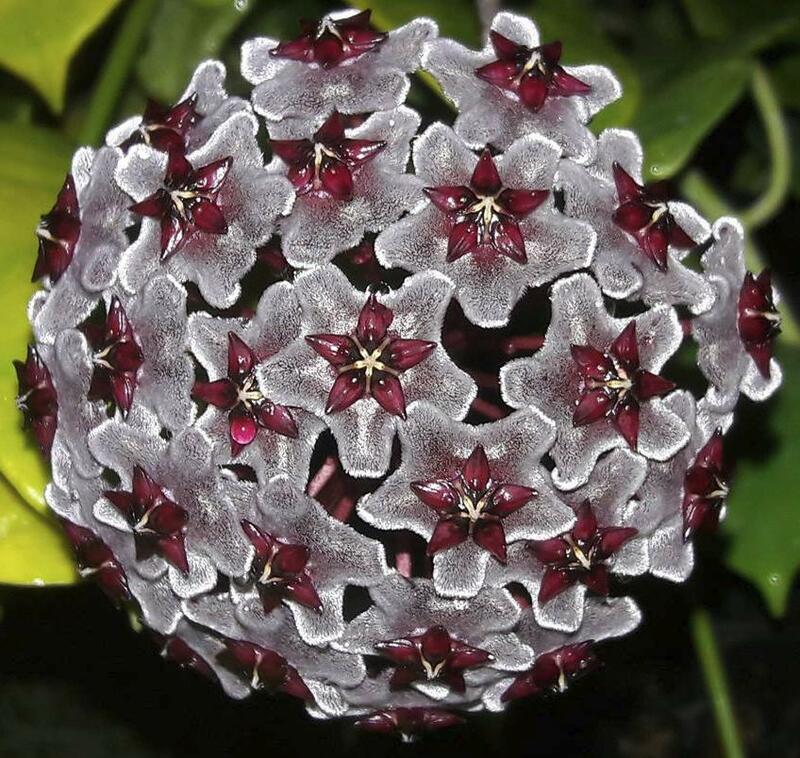 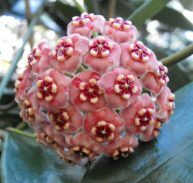 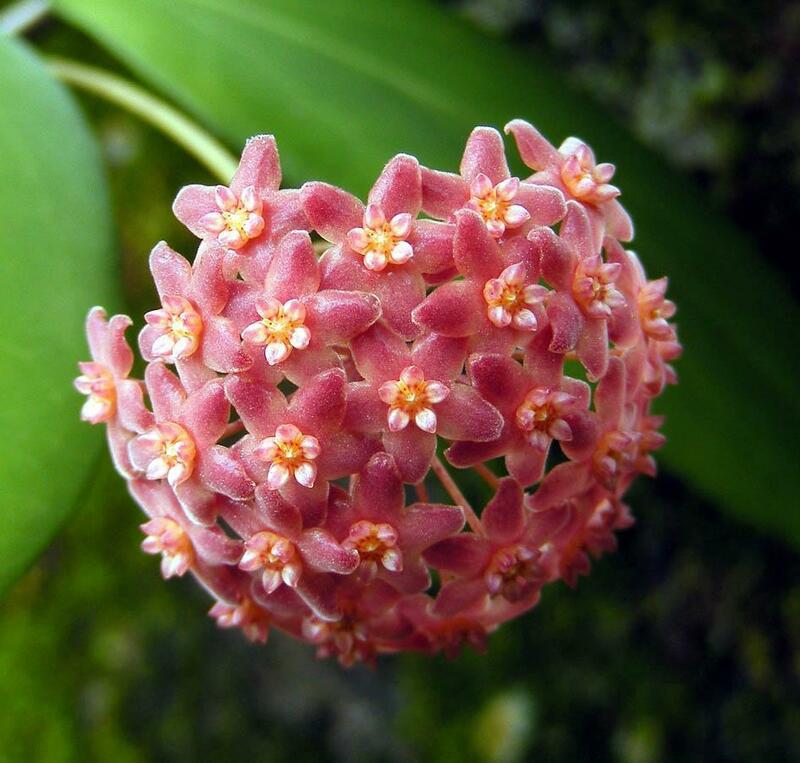 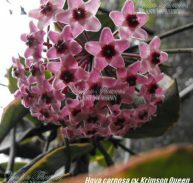 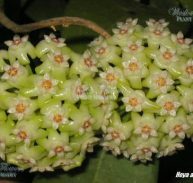 Hoya fungii is a member of the Asclepiadaceae family and is native to China. 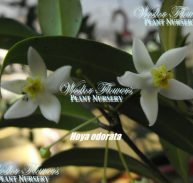 It is a compact vine with deeply veined leaves that are lightly fuzzy and quite large in size. 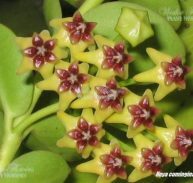 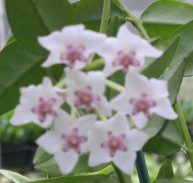 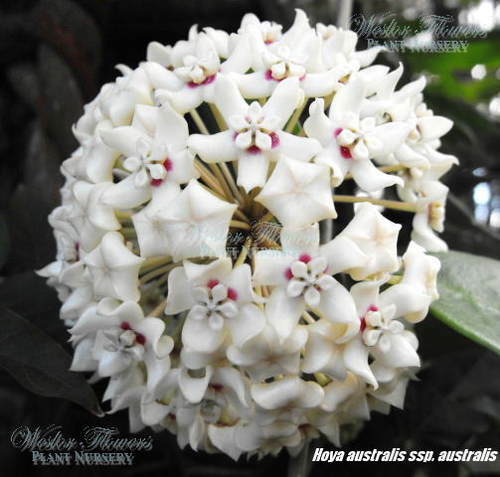 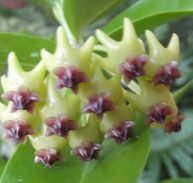 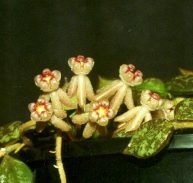 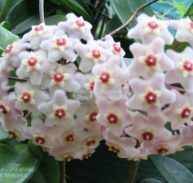 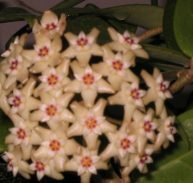 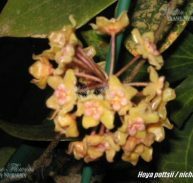 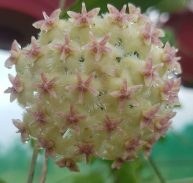 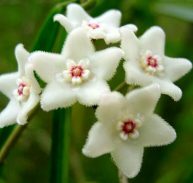 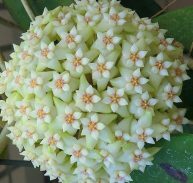 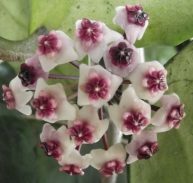 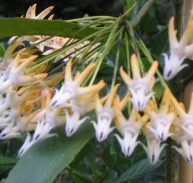 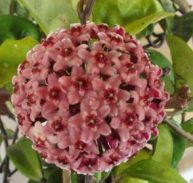 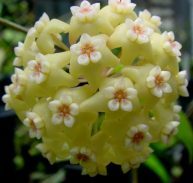 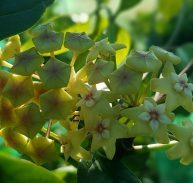 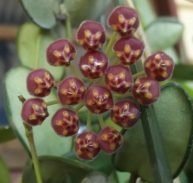 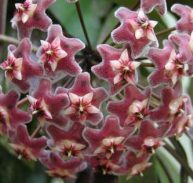 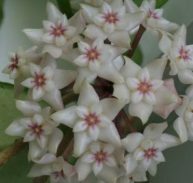 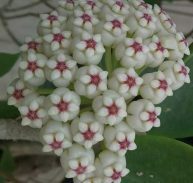 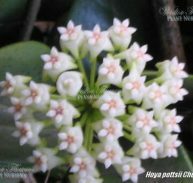 It is a vigorous grower and an easy Hoya to flower. 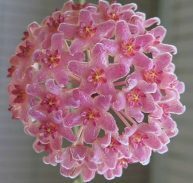 The flowers are light pink in colour with a red- cerise corona and 40-60 individual flowers in each umbel and with time can reach to 140mm in diameter. 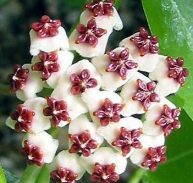 IN GROUND: Grow in well drained to gravelly soil, moist but not wet, warm but frost free position in temperatures above 2 degrees. 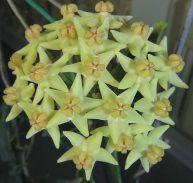 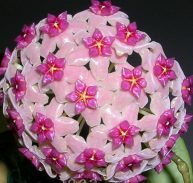 INDOORS: This Hoya is well suited to grow indoors under pot culture in a warm position but will be difficult to flower. 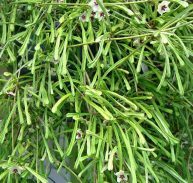 GREATEST SATISFACTION: Feed with a slow release fertiliser in spring months. 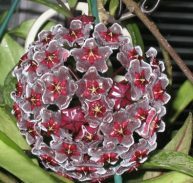 Keep drier in colder months. 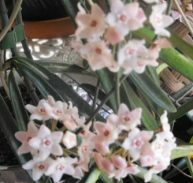 REWARD: Beautiful pink fragrant flowers 150mm across and in bunches of 40-60 hanging along the stems.